With it running in flash, how long do you think the chip would last? 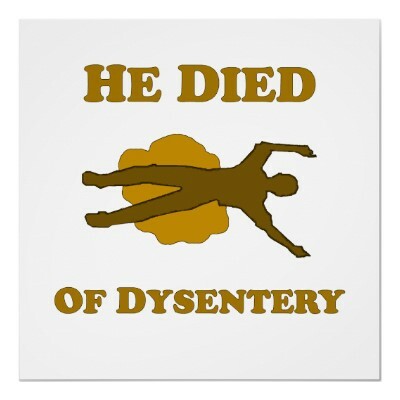 Great step towards running Oregon trail? Maybe Atari, or 2 arduinos running nes emulation(one for ppu and other for cpu). Awesome work! No unusual FLASH wear issues that I can see here. The emulator and Apple II ROM is in FLASH, and it doesn’t need to be reflashed unless you update them. Any Apple II program you load, and variables, are stored in RAM. If there were much more RAM available, it would have been possible to perform JIT compilation – converting every 6502 opcode to its AVR equivalents only once, then running the translated AVR code from RAM. Instead, every 6502 opcode must be translated each time it’s executed. Even then, this has less available RAM than the Apple II it emulates – but still enough to run simple programs. While that’d be possible to do the translation with more ram it wouldn’t be possible to run it from RAM due to the way AVRs are architected. Because it’s a modified Harvard architecture you can’t actually run code from RAM in any way. You have to write it to flash in order to get it to execute. My bad, I’m a PIC guy. I thought AVR could execute from RAM, but I must be thinking of ARM. Some 8051 versions can execute from RAM too, I think. I prefer Wings of Fury or Rescue Raiders. Add an SPI SRAM like [Juan]’s Dan64 for more memory, although accessing external RAM would slow down the emulation. I was curious to see how he realized VGA on an AVR until I read the page linked. It is not VGA. VGA specification is 640×640 pixels 16 colors. What he have done here is black and white with sync signals compatible with a VGA monitor. The resolution is only 150×90. R,G,B inputs on the monitor are shorted together. correction: VGA spec is 640×480 16 colors. Pedantically, VGA is an analog standard, so even on the original hardware getting ≈18bpp color only required a little trickiness. (e.g. use the 360×480 tweak mode, and group three vertical pixels into successive rows of RGB. If you think that’s cheating, you can still do simple raster effects and get to 735 colors onscreen simultaneously). Let’s just say “Horizontal: 320/360/640/720 pixels, Vertical: 200/240/350/400/480 scanlines, arbitrary colors”. VGA originally referred to IBM’s standard, but has come to mean any monitor/video card with the standard 15 pin high density D-sub connector and signals that go along with it. (wikipedia agrees with me on this one). I still say that the pulling this off using the ATmega16u2 “co processor” chip on the UNO is an impressive hack. Ok… wouldn’t it just be easier to figure out what you CAN’T do with an AVR??? Is the RAM enough, i mean if its a little bit more mabye it can perform faster, because its a bit low. But this is an awesome creation, simple and complex, but it could be made better, one of a kind. The Arduino Uno can be powered via USB connection or with the External power supply.The power source selected automatically.